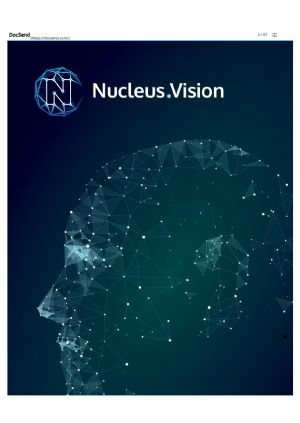 Founded in 2014 at Harvard University, Nucleus Vision (CRYPTO:NCASH) is an end-to-end technology solution that captures and provides previously inaccessible data to retailers and other ‘brick-and-mortar’ businesses through its proprietary blockchain and real-time sensor technology. 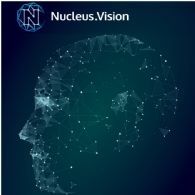 The solution that Nucleus Vision has built, which currently has ‘ION sensors’ deployed in 10 live retail establishments, will support a valuable data network for unique visitor IDs and corresponding user data. Our proprietary IoT sensor technology does not depend on any RFID, Wi-Fi, Bluetooth, or even facial recognition technologies to operate. Nucleus Vision sensors are able to detect mobile phones as they pass through storefronts and any other location where a sensor is set up, enabling our partners to detect visitor mobile phones using mobile ID over blockchain.